A battery victim who has "zero confidence" that the Chicago Police Department will do anything about a random attack on the streets of Wrigleyville that left him with a broken nose, facial lacerations, and a concussion, has turned to Craigslist, where he's offering a $1,000 reward for information that helps him track down the offenders. The victim tells us that he was walking away from the stadium to grab a cab after yesterday's Cubs game when he came to a stop on the northwest corner of Clark and Newport. "A girl was standing at the corner with what I believe was her boyfriend. She turned around and started yelling at me for no reason. Confused, I responded that I had no idea what she was talking about…While I was focused on her, the guy turned around and sucker-punched me in the face," the victim said. "I have no idea what the motive was. It was either a case of drunken, mistaken identity, or it was an attempted robbery. Sadly, no one bothered to help me." The matter may indeed be a case of mistaken identity. CWB has learned that police were called to the same intersection about 15 minutes before the victim was punched to handle a "group of males" fighting. The situation was resolved and police left. Moments later, this victim was attacked - possibly because he wandered into the remnants of the earlier fight. The male offender was white, about 6'3" tall, 220 pounds, with short, light brown hair. He was wearing a gray t-shirt and a baseball hat. The woman was in her mid-20's, white, about 5'4" tall, 125 pounds, blonde. As of this afternoon, the victim was unsure if he would keep the reward up much longer. "Even if I do find out who did this, I don't have any guarantee that these people will be prosecuted." 3:06PM - An intoxicated woman who was kicked out of Roscoe's tavern found her way into nearby Progress bar and officers had to go in to "extract" her. 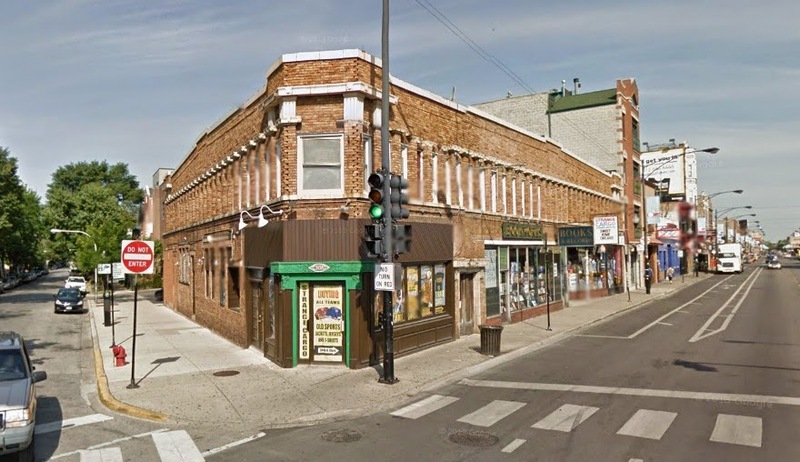 The woman's drunken afternoon in Boystown culminated with her being arrested for battery to a police officer. 7:28PM - Officers looking for the offenders in the Clark & Newport battery happen upon another disturbance at Eddy and Seminary. 9:07PM - Four white guys are fist fighting on the patio at Joy Noodle, 3257 N. Broadway. One arrest. 9:14PM - Battery in progress at Philly's Best. Two men who apparently got sick of waiting for that woman to come outside so they could jump on her are now inside the restaurant attacking her. The victim says she had called 911 twice to let police know that she saw them driving by earlier. CPD case HX267034. 12:50AM - Officers on patrol come across a man who has been punched in the face and is bleeding at 3246 N. Halsted. An ambulance transports the victim to Illinois Masonic Medical Center. Offender description: male, black, about 27 years old, short dreadlocks, wearing a dark hoodie. Last seen westbound on Aldine. Battery case HX267228. 2:12AM - Police are called to break up a "wild party" in the 3300 block of Halsted. Officers call for back-up. Patrol cars are asked to drive up and down Halsted because the partygoers are "all over the street." The mop-up effort lasts for nearly 45 minutes.